Fritz Hansen's Avion is a striking pendant light that resembles a zeppelin with a clear flight plan. 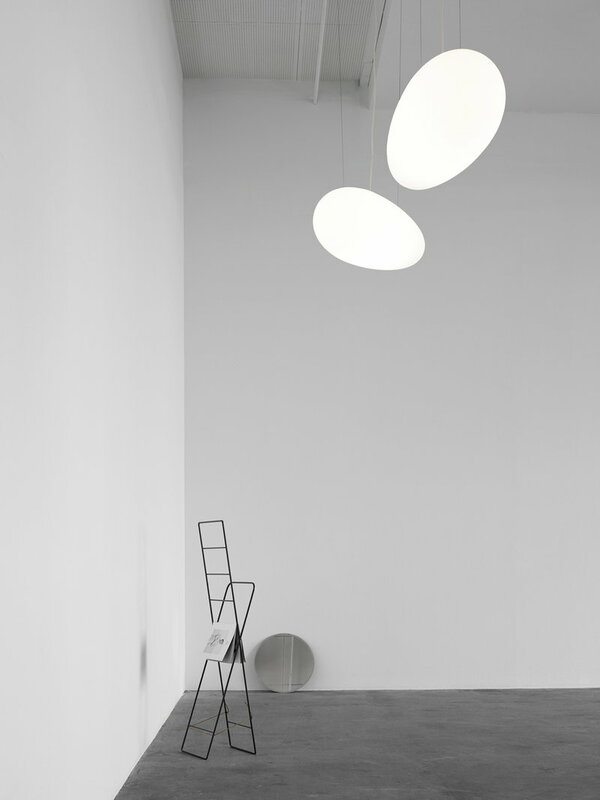 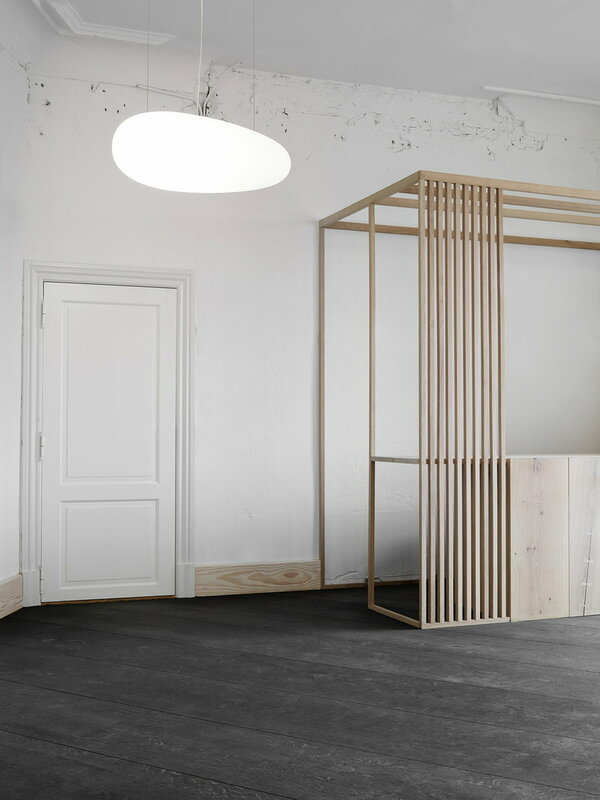 When designing the pendant, Iskos-Berlin had in mind ordinary flying objects that would surprise by appearing indoors. 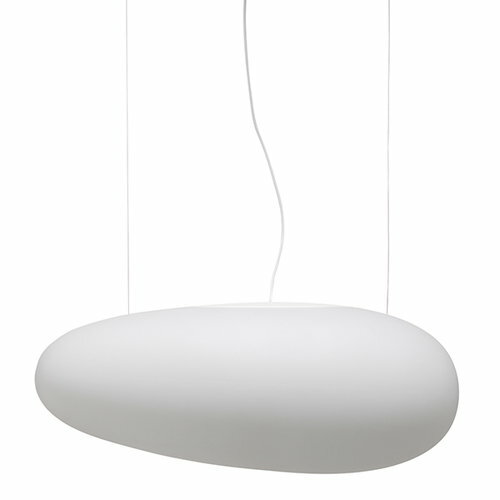 Avion features a simple, fluid form and creates a soft and cosy light. 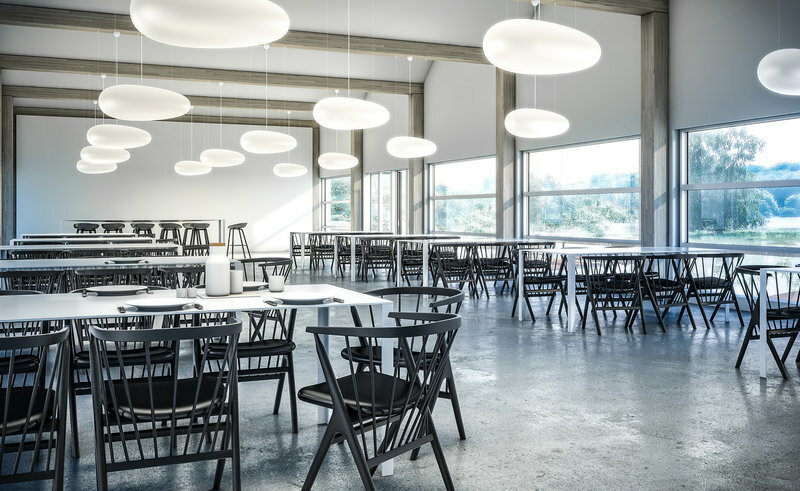 The direction of the pendant is easy to change with the adjustable ceiling cup, and the two steel wires determine its height and angle. 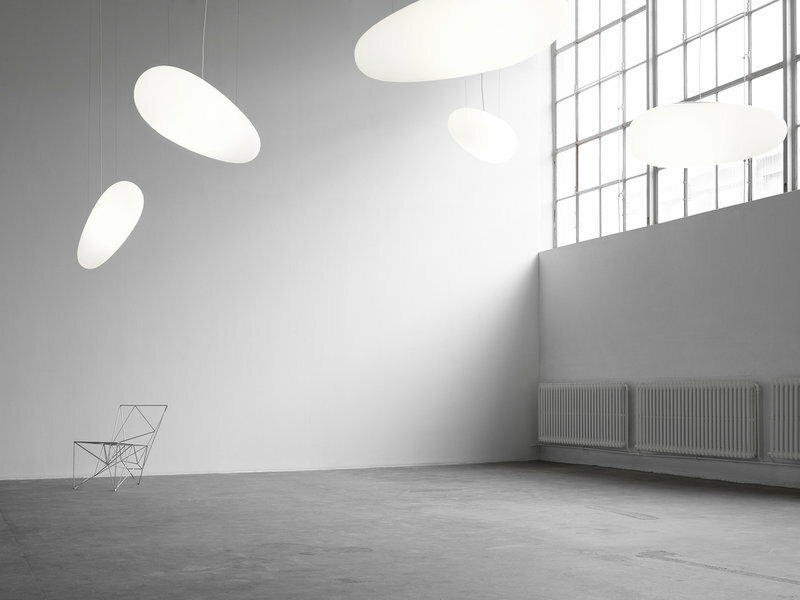 Avion is a playful light sculpture that will make the best of any air space, by itself or in formations.